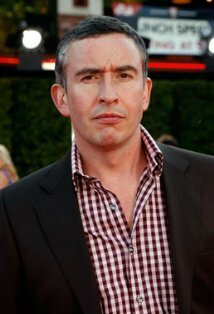 See the gallery for quotes by Steve Coogan. You can to use those 5 images of quotes as a desktop wallpapers. I used to do stuff at college. I could do voices. I could make some people laugh. I wasn't the class clown, but I knew I had this skill. I want my work to be judged, not me. I wasn't a naturally confident, extravert, outgoing person. I'm an entertainer. I don't go round saying I'm a paragon of virtue, so that is clearly not in the public interest. I've always been drawn to discomfort and that limbo of unease you get between comedy and tragedy. If you are a great dramatic actor then you often don't know if people are enjoying your stuff at all because they are sitting there in silence. If you do something very successful, you will then be defined by it. My father worked for IBM. My mother raised us kids. There were six of us, and a couple of extra foster kids at any given time. People regurgitate the same old cliches and it becomes like a photocopy of a photocopy of something that's vaguely interesting. There is a strong ethical dimension to the best comedy. Not only does it avoid reinforcing prejudices, it actively challenges them. What I don't like is dance music or hip hop or any of that sort of thing. When I see friends from school I think they've all grown old and I've stayed the same. 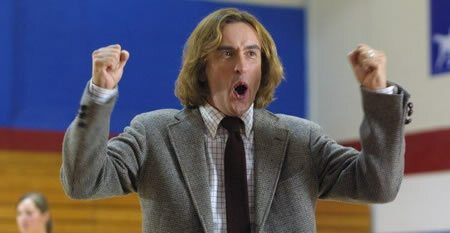 Yeah, all drama teachers are very effusive, very demonstrative, very emotionally open, very big, and gesticulate a lot, and are very physical. Actually, bizarrely, in America, I get more appreciation from the odd, unusual stuff I've done, almost because I'm not, if you like, famous in America as I am in England. Going to a grammar school, you mixed with all sorts of different types and I used to listen to how they talked. When I did my imitations, I could sound like someone really rough, or I could sound like a cabinet minister. 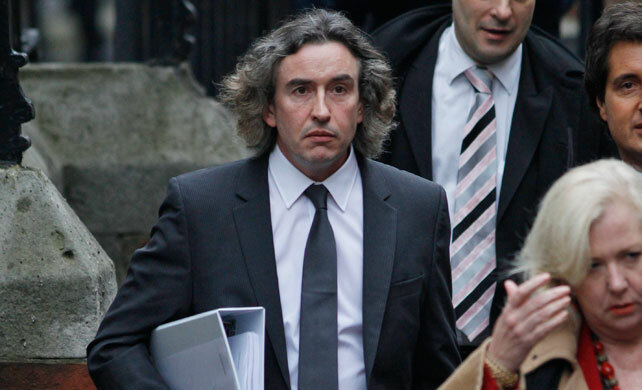 Much more quotes by Steve Coogan below the page. I always find it easier to portray myself as being unlikeable and idiotic; to actually play a character that is likeable and engages the audience is far more difficult. It's a more subtle kind of challenge. I don't like comedy that I think is bad comedy, where people are trying to be sick for the sake of it, where there's no intellectual point behind it. I like stuff that's got an underlying point of view. I'm a huge fan of Jack Lemmon, he was someone who managed to tread that line between comedy and tragedy and sometimes give very big performances, but they were never over-demonstrative and they were never not based on a kind of real truthful human being. I'm just attracted to playing people who are ostensible unlikable. That's not to say that there's something in there that makes you care. It might be that you just find them so awful that you just can't stop watching, like a car crash. If the person who can effectively sanction ill-conceived wars can play the electric guitar, which is a symbol of rebellion, then that whole worldview becomes confused. London audiences are tricky, too. They don't laugh as much as the Northern audiences because, and I hate to say this, they are a bit cleverer normally, and they are picking up on all the little details and listening more carefully. Most of all I don't want to be bored. That's why I'd rather do something that has some sort of ambition, that risks failing, rather than make safer, more comfortable choices. The best feeling in the world is performing in front of a live audience who like what you're doing. I can understand why people become dictators just because of the thrill they get making the speeches. There's something quite joyful about doing comedy which doesn't really need much analysis. I'm not elitist. I like to do crowd-pleasing stuff which is a bit smart, but is just about belly laughs. When I was a student I was very, very ambitious, completely immersed in my comedy career. I never had that period of reckless hedonism that you should get out of your system in your youth. When you see a crowd of people jumping up and down at a pop concert, all gloriously in the moment, I don't think you'll ever see a comedian there. They'll all be standing at the sides, looking at how it all fits together. If you chase something too desperately, it eludes you. If you start to disrespect the character you're playing, or play it too much for laughs, that can work for a sketch, it will sell some gags, but it's all technique. It's like watching a juggler - you can be impressed by it, but it's not going to touch you in any way. The trick is always to write in pairs because if at least two people find it funny, you've immediately halved the odds of it not being funny. Even great people are always slightly disappointing, which is generally what makes them interesting. Me, myself, personally, I like to keep myself private. I have never said I am a paragon of virtue, a model of morality. I simply do what I do. I've always been drawn to discomfort and that limbo of unease you get between comedy and tragedy. Making people laugh one moment and the next making them feel really uncomfortable. If you are a great dramatic actor then you often don't know if people are enjoying your stuff at all because they are sitting there in silence. But with comedy it's a simple premise. If it's funny, people laugh. If it's not, they don't. As soon as I see period costume, I turn off. It's like hearing drama on Radio 4. Big comedy is good, I like things that are big, but good comedy has to be truthful I think and has to reflect some sort of reality. But with comedy it's a simple premise. If it's funny, people laugh. If it's not, they don't. Comedy is unique in the sense that laughter is a palpable noise that everyone makes. Hacking into a victim of crime's phone is a sort of poetically elegant manifestation of a modus operandi the tabloids have. I am of the very last generation who didn't have computers at school. As we grow old we'll become something of an aberration. I did not become successful in my work through embracing or engaging in celebrity culture. I never signed away my privacy in exchange for success. I don't go to premieres, unless I'm contractually bound to. I don't like new bands. I don't want to be one of those pathetic old men in their forties who knows exactly what 18-year-olds are into. I don't think there's anything outside what comedy can address. I happen to have a public profile. Ditto newspaper editors. It's a result of what I do, not an end. I have never wanted to be famous, as such - fame is a by-product. I like the transience of Klimt paintings. I think it's always funny when you see kids do Shakespeare. I try to not make safe choices, but I also like to do stuff which is interesting and is sort of exciting in some way and accessible. I have absolutely no desire and no thought of quitting ever. I look back at photographs and I remember at the time I thought I was not very attractive. I remember feeling that. I couldn't do, nor did I want to do, the kinds of roles I'd been doing. Young people who are just starting out somehow need to let you know they know how to sing. Even within the last three or four years, I have a greater ability to communicate, I think. I have more courage to show the stuff... And it does take courage.